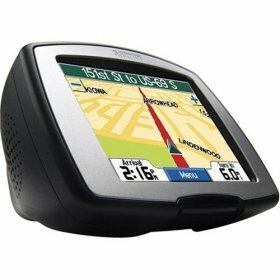 Don’t get lost driving again…instead, get the Garmin StreetPilot® C330 Portable GPS Navigator. This little toy is simply one of the best portable GPS out there in the market. There are a few who have some of the StreetPilot C330’s features, but none that has all of them like the StreetPilot C330 does. Sporting a 3.5-Inch touchscreen, easy-to-use interface, and a rapid software the StreetPilot C330 is simply not just another GPS. Compared to other leading brands, this portable GPS has most updated maps, doesn’t need to download the maps, turns on accordingly with your car, and has over five million points of interests. In addition, its other features like being small and lightweight, yet still retaining the ability to provide big and easy to read letters make this portable GPS exceptional and one of the best voted by consumers.